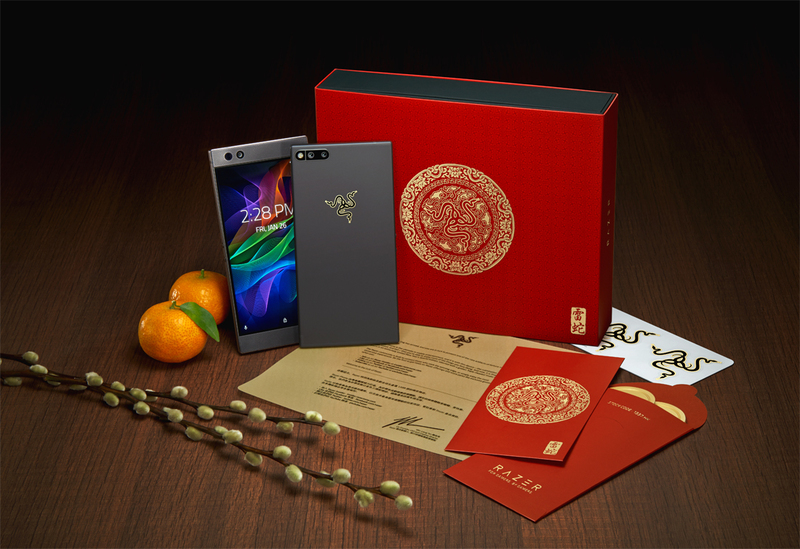 Razer has announced a new variant of its gamer-focused smartphone to celebrate The Year of the Dog as observed by the Chinese calendar. Officially dubbed the 2018 Gold Edition Razer Phone, the limited edition handset ships in a red-sleeved box adorned with gold foiling that’s accompanied by a certificate of ownership. The standard triple-headed snake logo on the rear of the phone also features a golden tone. Aside from the special packaging and gold-colored Razer logo, however, the offering is identical to the standard Razer Phone. Getting your hands on this exclusive piece of tech could be a tough task. Razer says it will be available to purchase at just three carrier locations in Hong Kong and online at RazerStore Hong Kong and RazerStore US while supplies last. Razer will only offer 1,688 Gold Edition phones meaning if you want one, you'd better act quick. The good news for perspective buyers is that Razer isn’t charging more for the Gold Edition device. Assuming you can find it in stock, you’ll pay the same $699 that you’d shell out for the standard model.